A fingerprint is formed when a finger makes contact with a surface. The finger leaves behind traces of sweat and any other substances present on the finger that a suspect might have touched. These substances are deposited in the characteristic pattern of the ridges present on the finger tip of the donor. Most fingerprints are invisible to the naked eye and require a chemical development process in order to visualise them. And newer processes can obtain much more information about the fingerprint owner, what they've touched, what they've eaten and even what drugs they've taken. A fingerprint left at a crime scene (in forensics called a "fingermark") will contain not only sweat from a suspect, but also traces of any substances a suspect has touched. This can be very useful evidence if the fingermarks contain a victim's blood or explosive compounds as it instantly ties a suspect to those substances.But even then, a fingermark gives no investigative lead whatsoever if the suspect is not on the fingerprint database. If proved, this principle would mean a fingerprint could give a molecular signature that could reveal aspects of an individual's lifestyle and environment, such as their job, their eating habits or their medical problems. This might help the police work out who the prints belong to. We're some way off creating a simple method of studying fingerprints in this way for the police to use, but some advances have been made. For example, researchers have shown that contact with drugs or explosives can be picked up in a fingerprint and this might help to narrow down a list of possible suspects. 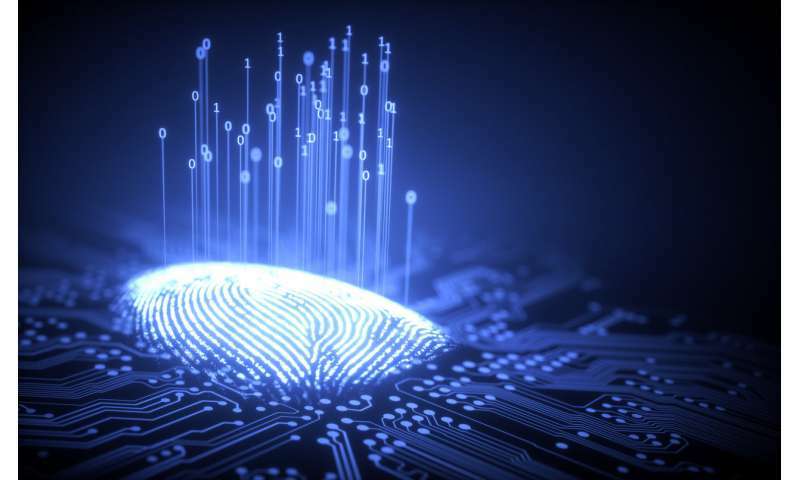 If we think more broadly than forensics, fingerprints can provide some very exciting possibilities for the future of medical testing. For example, a fingerprint is a very convenient way to give a sample in a drugs test. It's much quicker and easier than giving blood or urine and much harder to fake because it includes the identifying ridge patterns. Fingerprints are made not just from substances you have touched, but also substances excreted from your eccrine glands (the sweat glands located on the fingertips). Since sweat can include traces of things you have ingested, that means fingerprints can contain traces of drugs you've taken. In a recent paper in Clinical Chemistry, my colleagues and I have shown it is possible to detect cocaine, heroin and morphine use from a single fingerprint. These substances are surprisingly prevalent among the fingerprints of the general population. For example, 13% of non drug users that we tested had traces of cocaine in their fingerprints, probably picked up from banknotes or other contaminated surfaces. But an actual drug user will deposit up to 100 times more in their prints. What's more, drugs can still be detected even after the user washes their hands, because the substances are continually excreted after use. This means that we can tell the fingerprints of drug users and non drug users apart. While it might seem disturbing that so many non drug users have cocaine on their fingertips, it's worth pointing out that the test picks up amounts as small as tens of picograms (0.00000000001g) of the drug. So it doesn't mean we're facing a public health emergency. Our techniques are simply becoming more sensitive to tiny traces, so it is easier now for us to detect things that might have escaped attention before now.